Oracle's StorageTek SL150 modular tape library is the first scalable tape library designed for small and midsize companies experiencing high growth. 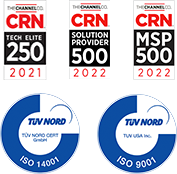 Built from Oracle software and StorageTek library technology, it delivers a cost-effective combination of ease of use and scalability, resulting in overall datacenter savings. 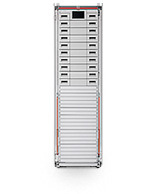 The StorageTek SL150 negates the need to rip and replace smaller, individual products as your storage needs grow. Ideal for backup and archival applications, the StorageTek SL150 modular tape library is easy to install and manage. Remote management capability and an installation wizard ensure swift installation and ease of use. Scalability from 30 to 300 cartridge slots enables capacity to reach nearly one PB (compressed) with the use of StorageTek LTO 5 half-height tape drives. Expansion modules offer seamless performance and capacity upgradeability, by easily upgrading tape drives and adding cartridges.